Nine-Ten is located on my favorite street in San Diego, Prospect. 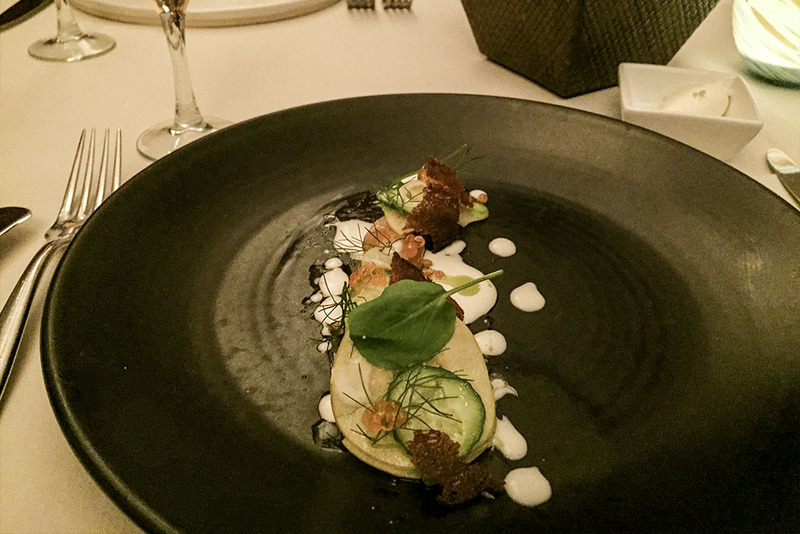 Respect Prospect, it has some of the finest and freshest cuisine in Southern California. 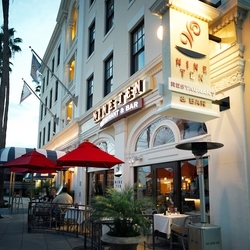 Nine-Ten sits in one of the most beautiful and historic hotels in La Jolla. 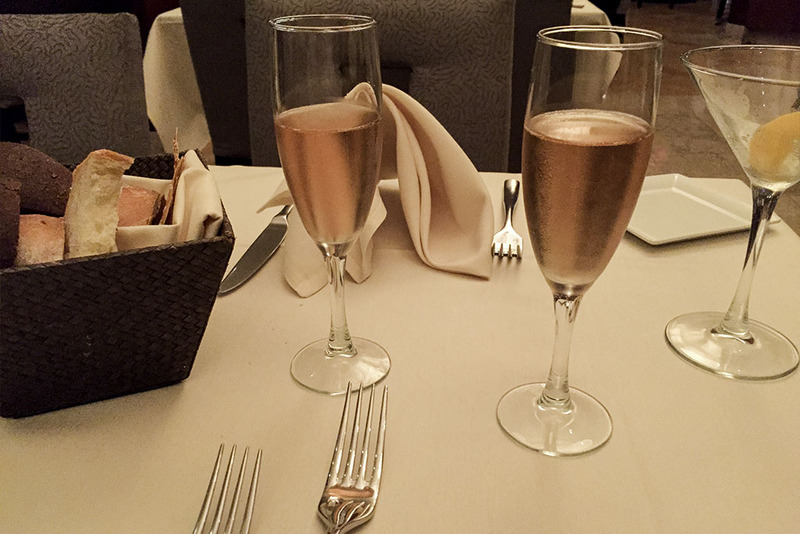 The Grande Colonial has been a La Jolla staple since 1913. 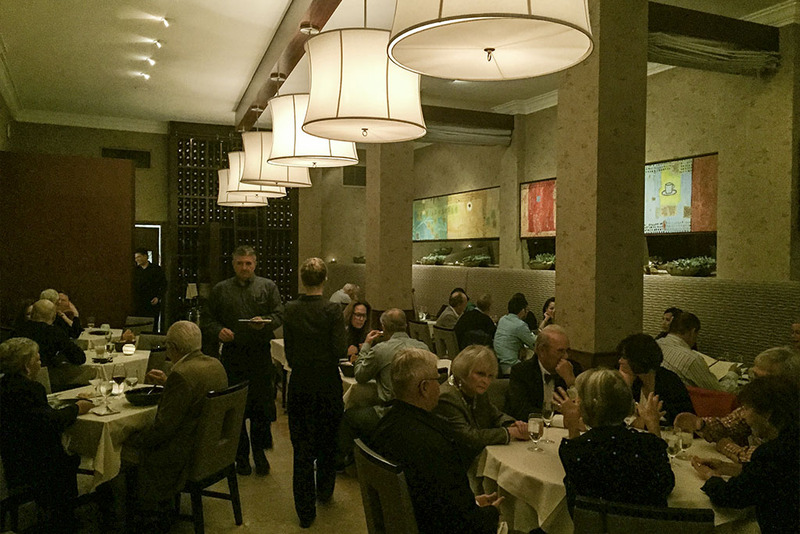 If you haven’t experienced Nine-Ten in the Grand Colonial La Jolla… you haven’t experienced La Jolla. The first thing you notice as you walk up on a beautiful evening is the architecture and lights. The hotel is simply remarkable and romantic. 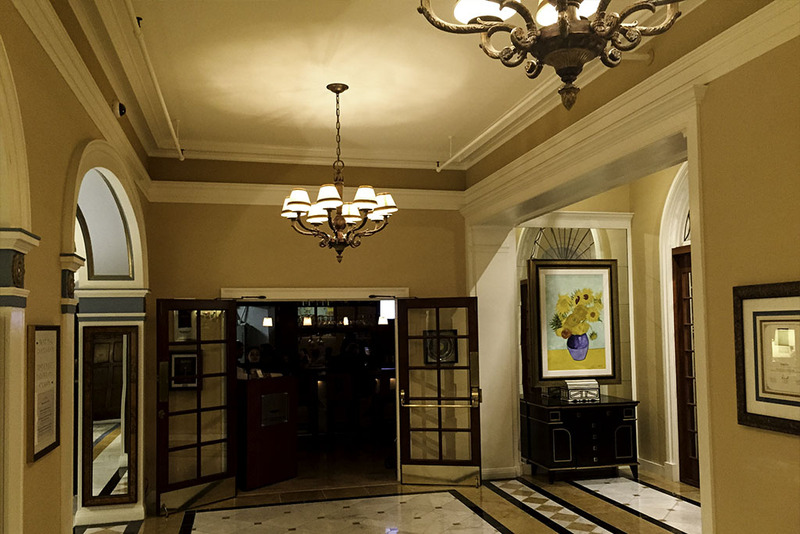 You enter the historic lobby and the dining area is warm and inviting. I was looking forward to tonight, as everyone knows Chef Jason Knibb is one of the best in the biz and to be at his mercy, it’s an honor to say the least. 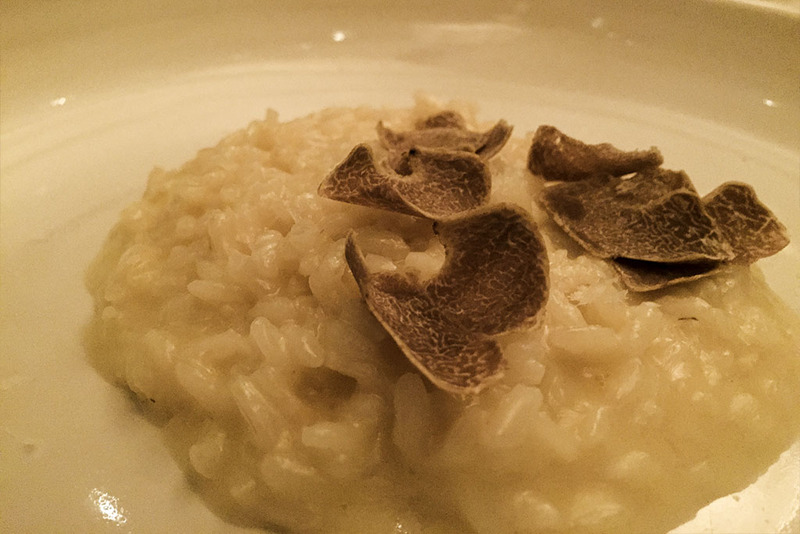 So I suggest you order the “Mercy of the Chef” This is the very best way to get the true culinary experience. 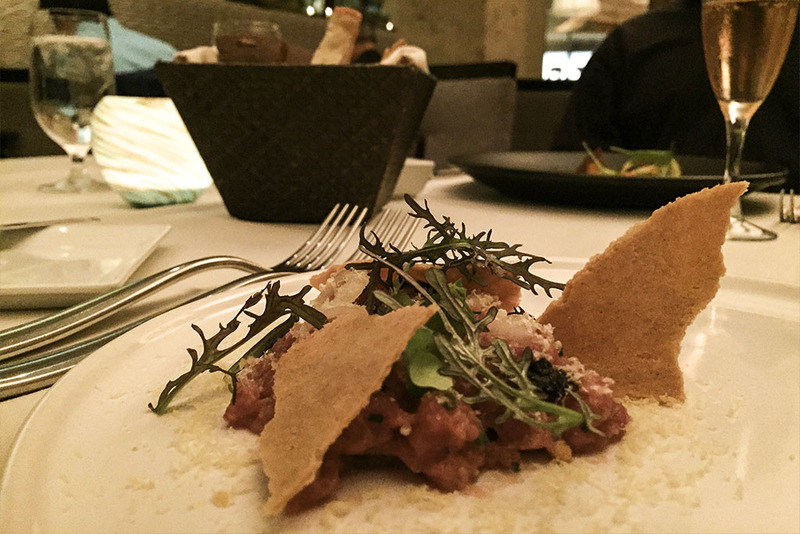 Chef Jason Knibb has spent more than a decade at Nine-Ten for a reason. And I always say, when you have an opportunity to experience something great, take full advantage of it. So we did. 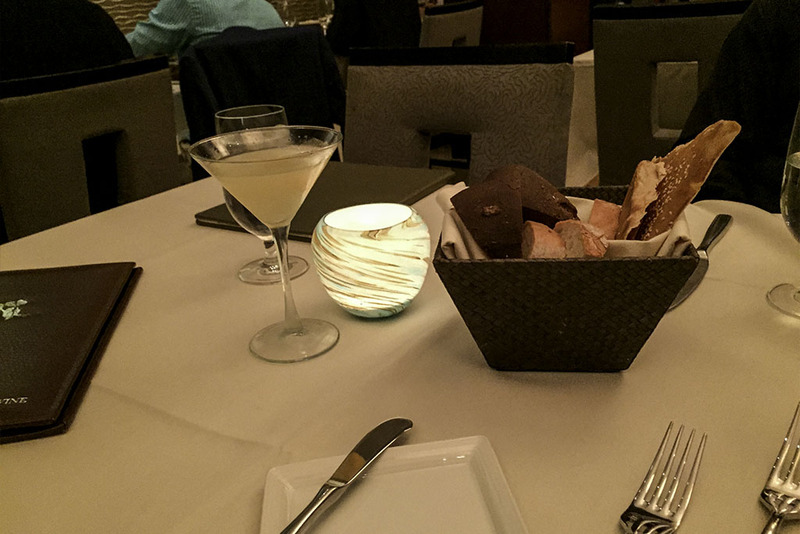 We ordered The “mercy of the Chef” , which is a dinner Special where Chef Jason Knibb creates a prix fixe menu for the entire table paired with wines if you like. I like! 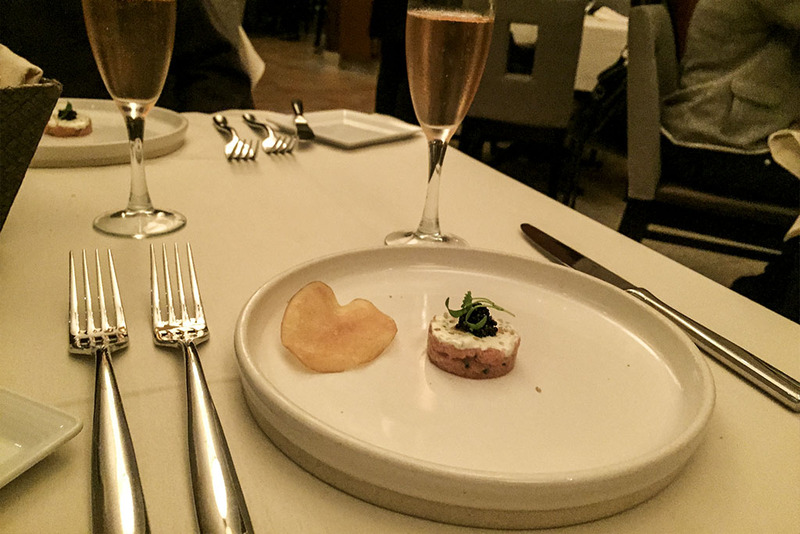 So for Amuse Bouche we were presented Tuna Tartare Parfait; Chive crème fraiche, crispy potato and American Sturgeon caviar. It always amazes me how one bite can be so extraordinary. This brought a grin I couldn’t hold back because I knew what the future would entail. 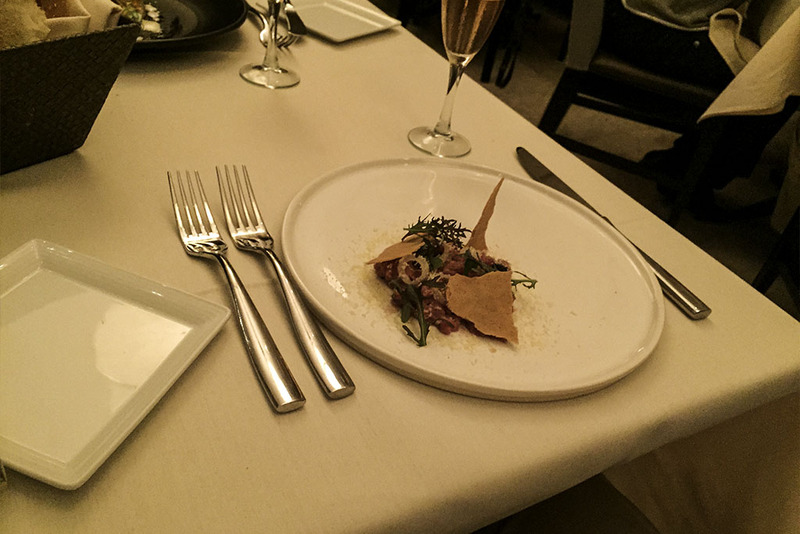 The First Course consisted of Lamb Tartare and Smoked Salmon Salad. 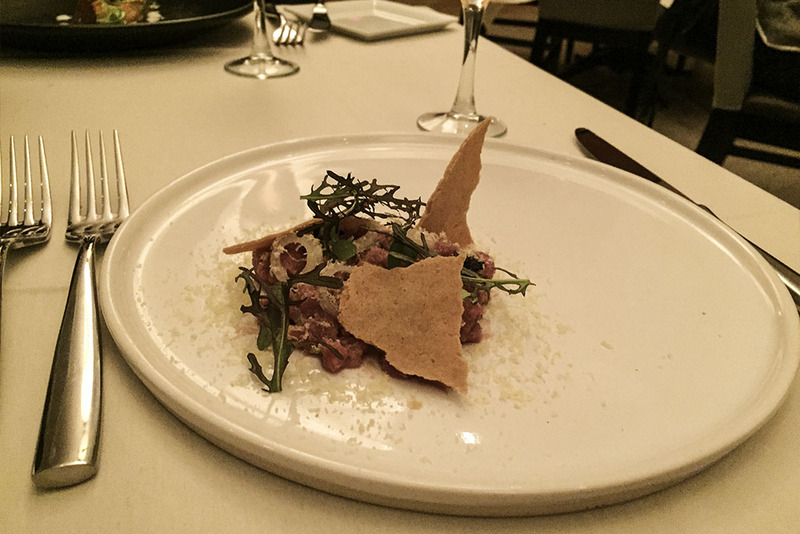 The Lamb Tartare was prepared perfectly with black garlic, orange chili oil, pickled onion, cured egg yolk, mas. 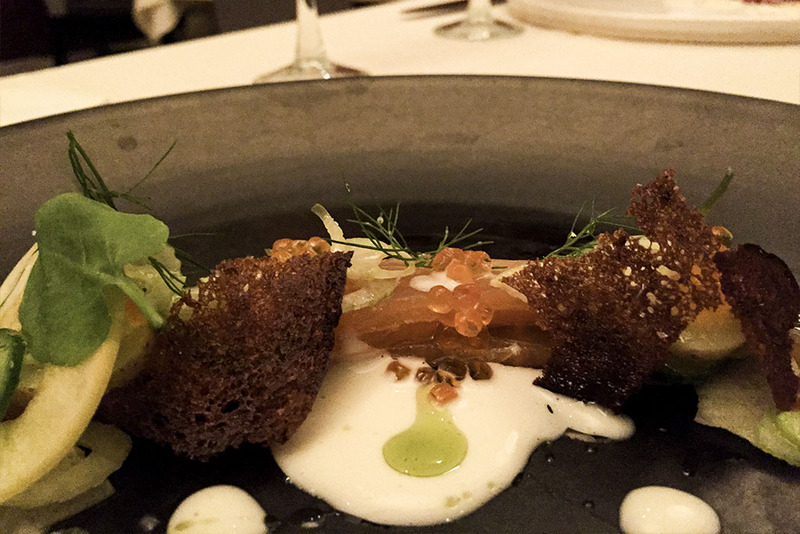 The Smoked Salmon Salad had cucumber, apple, baby potatoes, fennel, radish, rye bread, charred dill oil whey crème fraiche. 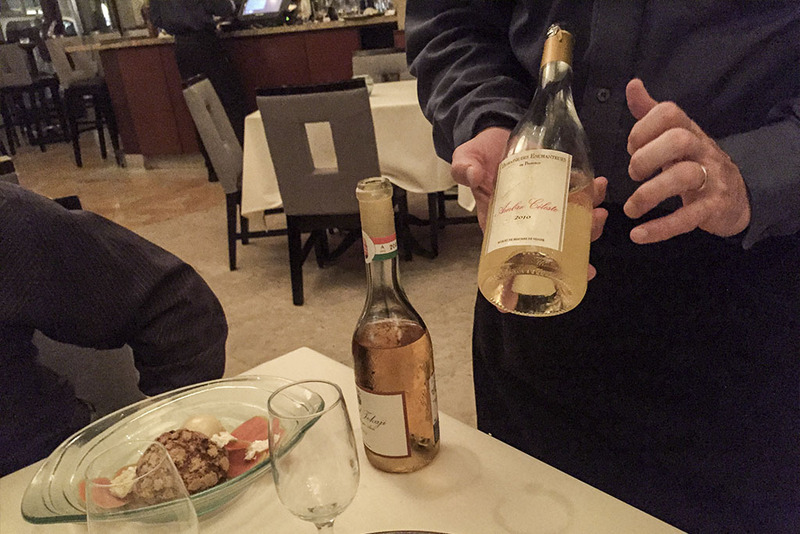 Both were an artistic creation with flavors that swim right along with Taltarni, Brute Rose that it was paired with. Next we enjoyed our Fish Course. I was really looking forward to the seafood as it is always fresh and arrives daily. 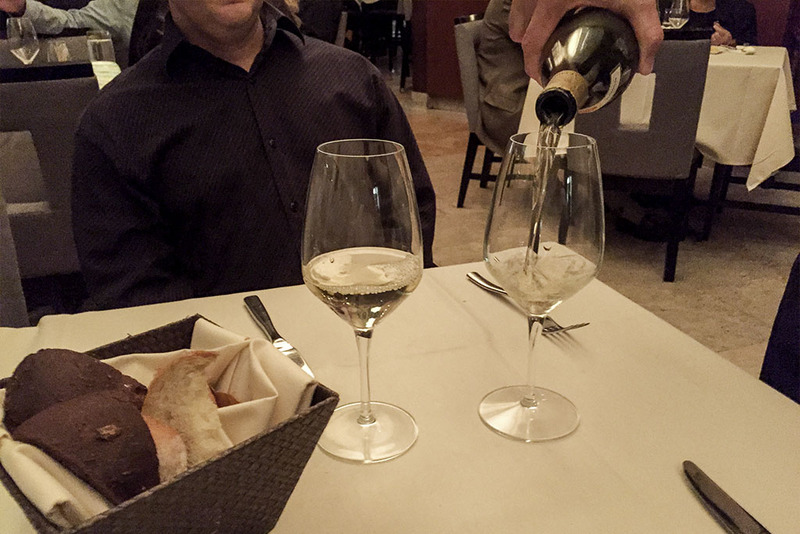 We had the Maine Sea Scallops; baby broccoli, matsutake mushrooms, mustard frill, scallop chips, matsutake dashi; paired with LaDoucette Sauvignon Blanc, Touraine, France. 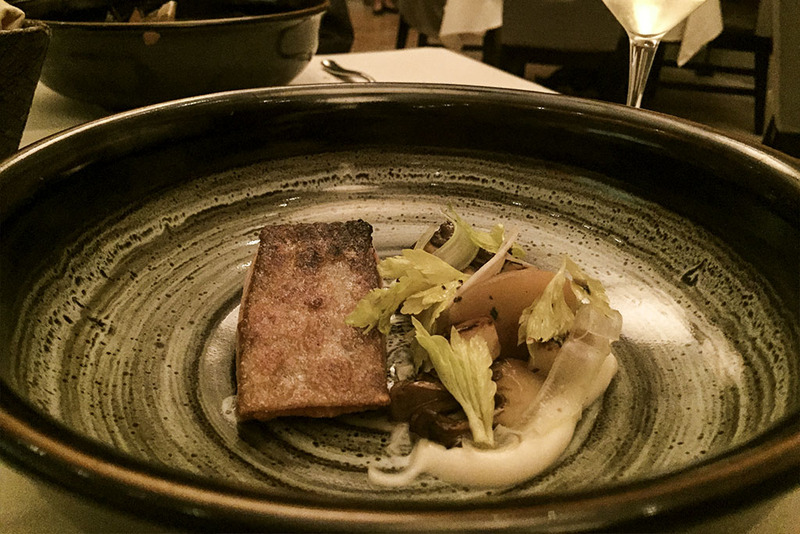 The Wild King Salmon came with roasted apples, celery root, roasted miatake mushroom, celery root puree black truffle vinaigrette and paired with Flora Springs Chardonnay, Napa Valley. Just take a look at the pictures and imagine the flavors we were presented with. A masterpiece in the making. One of my absolute favorites of the night was a special surprise by the Chef. 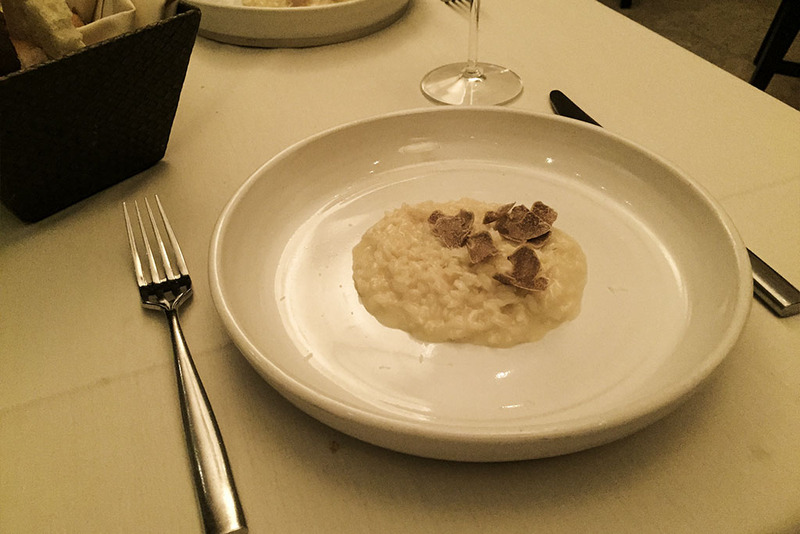 A Pasta Course featuring white Truffle Risotto.Parmesan risotto with shaved Alba white truffles, paired with E. Guigal, Cote du Rhone Blanc, France. Delish! 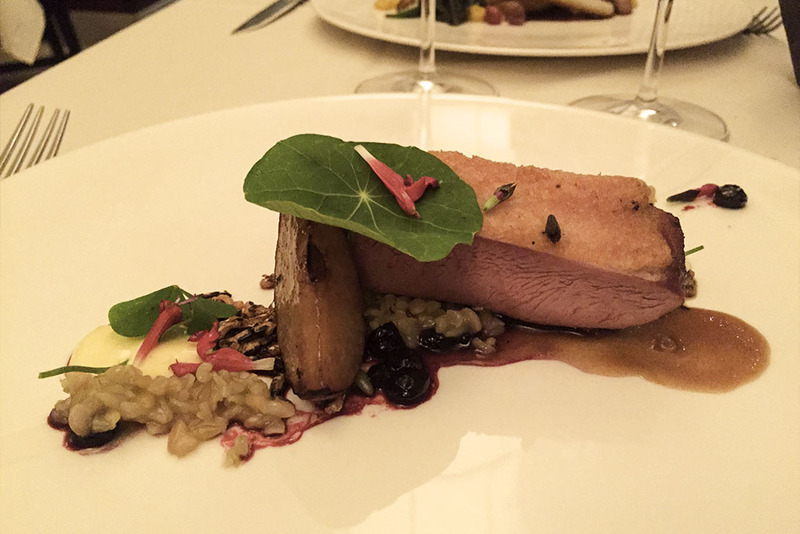 The Meat Course served was the Hay Smoked Duck with roastedasian pears, anson mills farro, huckleberries, duck egg sabayon, puffed wild rice & duck jus. 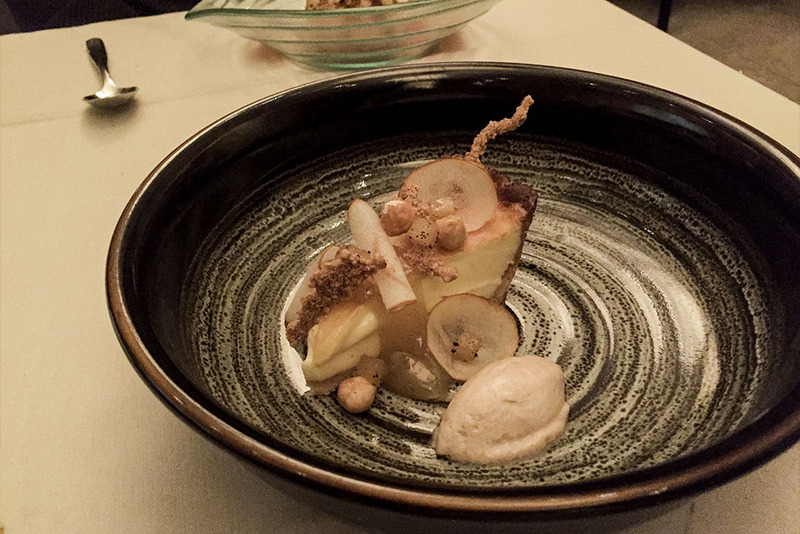 This dish was paired with Alma Rosa Pinot Noir, Sta Rita Hills. 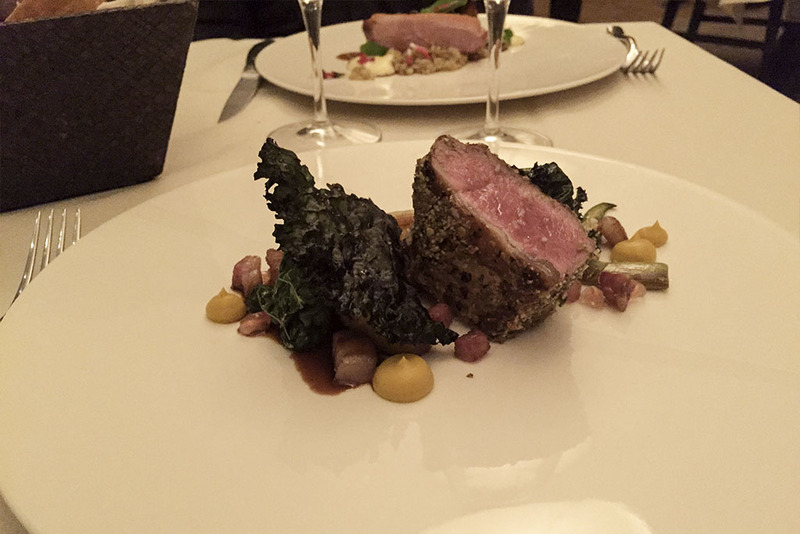 We also had Pumpkin Seed Crusted Lamb Loin with torpedo onions, roasted acorn squash, kale, pomegranate seeds lamb pancetta, squash puree, lamb pomegranate jus. And this dish was paired with vin de Vienne Cotes du Rhone, Rhone, France. 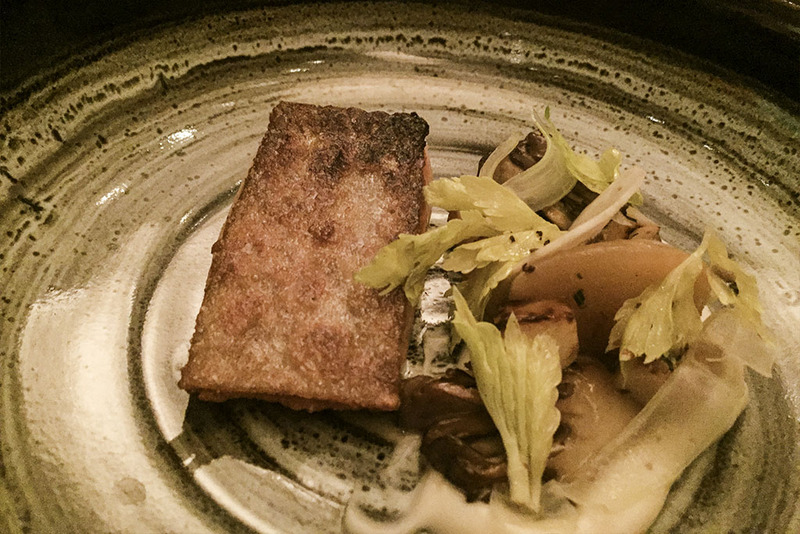 This was just another example of why Chef Knibb has been an anchor at Nine-Ten for over a decade. 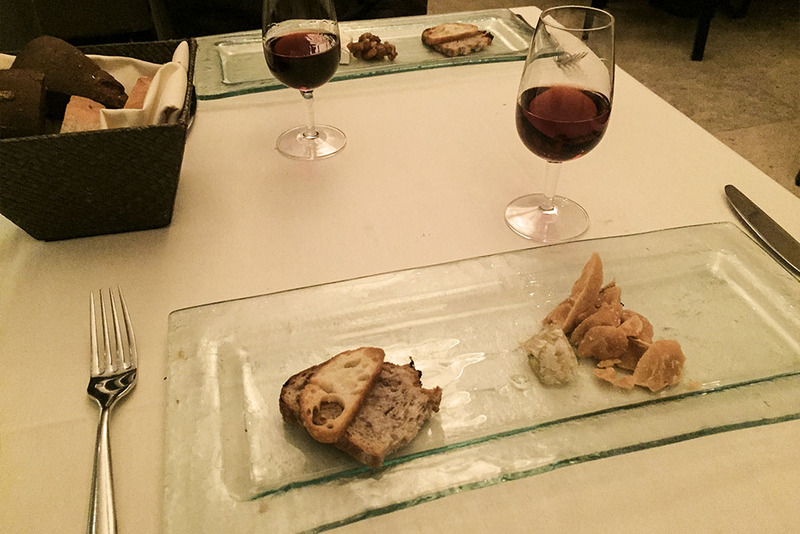 I am truly in love with fine cheeses and our Cheese Course was a delight. Paired with Taylor 20yr Tawny Port I experienced Vintage 5 year Gouda: Cow’s milk, served with honeycomb, Netherlands. 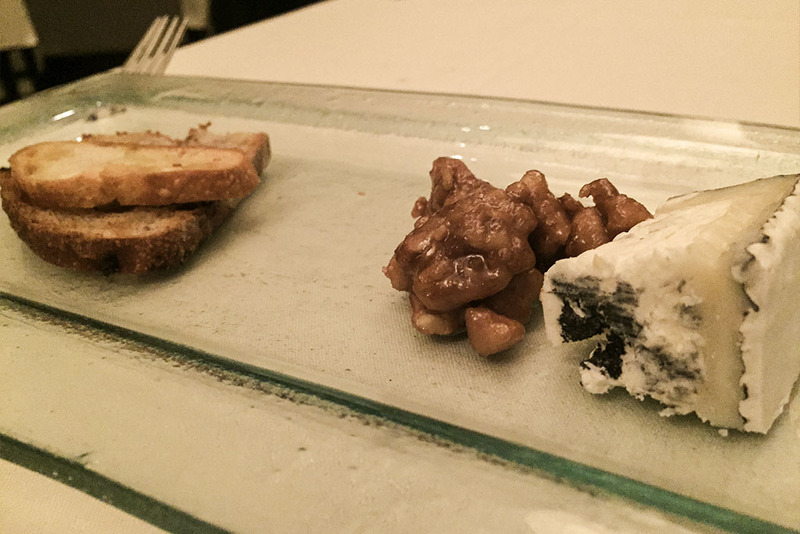 And paired with Fonseca 10yr Tawny Port we had Humbolt Fog: Goat’s Milk, served with pickled walnuts, California. Pastry Chef Rachel King decided to send us off with a finale nothing short of the 4th of July firework show over Mission Bay. 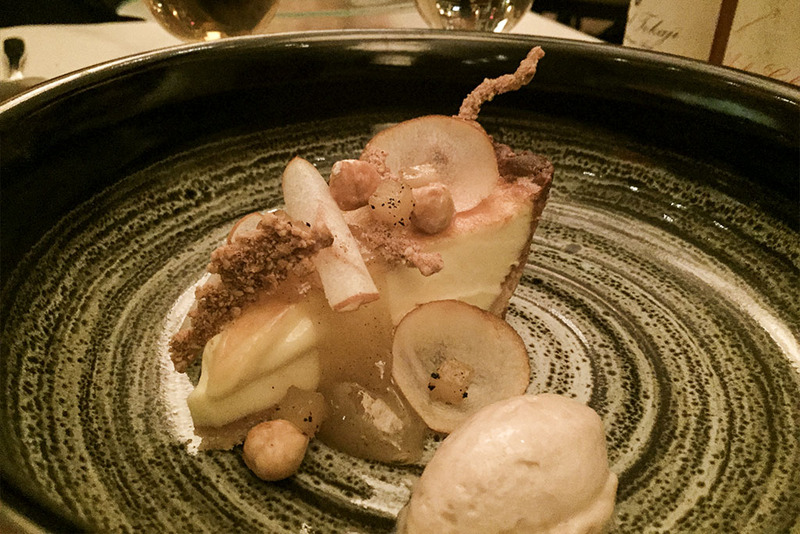 She prepared a wonderful Vanilla Flan Tart, which was served with carmelized hazelnut, poached pear, hazelnut whipped cream and paired with Muscat Beaumes de Venice. 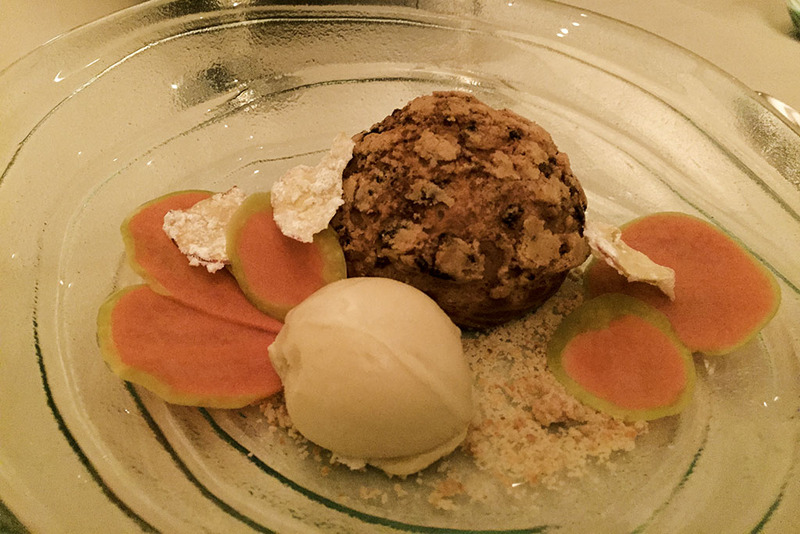 And the maple & Apple Butter cream Puff with white cheddar crumb, local apples, maple & hay ice cream which was paired with Royal Tokaji. Like a fine tuned conductor at the opera, this ensemble was one I will not soon forget. 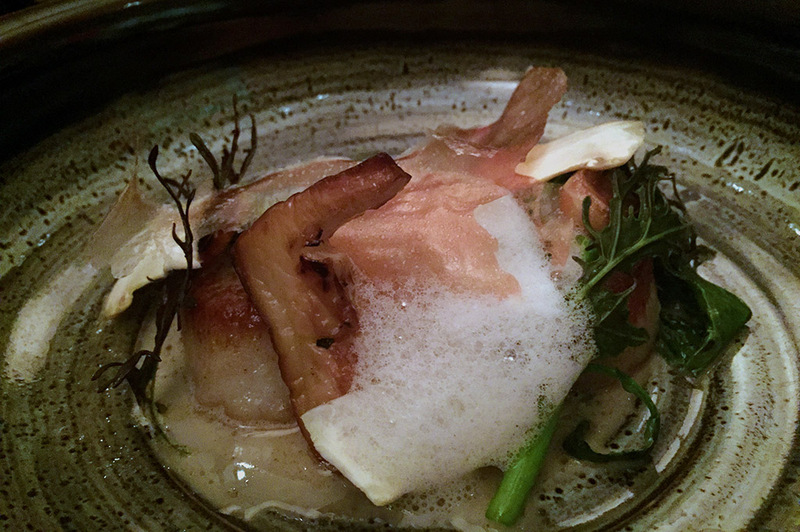 From top to bottom, Nne-Ten in La Jolla is fine dining that everyone should be allowed to enjoy at least once. Bucket List, check!